Just south of Keene, NH sits Swanzey, NH one of Monadnock’s most scenically spectacular towns. The town grew up around a textile mill in West Swanzey throughout the early 18th century. 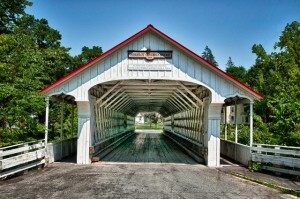 The town claims that it was the first to construct a covered bridge in 1789 when they built the Carleton Bridge. Swanzey continued to build covered bridges after the Carelton and now has four different ones, beckoning all bridge fanatics to the area. 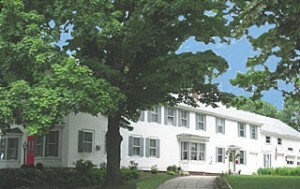 The Bridges Inn, pictured right, is a beautiful, sprawling Victorian built in 1972. As its name would suggest, the Inn is 100 yards from the Thompson Covered Bridge. Each of the inn’s five different bedrooms are actually named for different covered bridges that surround the inn. The Bridges Inn spares no expense when it comes to entertaining their guest. Most notably, the inn serves a bountiful breakfast in the formal dinning room on bone china with sterling silver utensils. The inn is a great place to stay while you are in Swanzey and a renown example of great architecture worth stopping to check out even if you’re just there for the day. Cameron’s Winery is a delicious and award winning local winery that is a must visit location for any wine drinkers. In 2012, Paul and Leslie Cameron bottled their first fruit wines and sent them off to various amateur competitions. Within the year, they had won five meals and were advised that they may want to open up their own shop. So, in the same year, the coupled opened Cameron’s Winery and began making and selling their own wines. They now offer over fifty different wines, though, they mentioned in an article written when they first launched that apple wine was their most popular. With such a robust variety and frequent open tastings events, Cameron’s Winery is a must do for locals and travelers a like. And we have a feeling that once you go in and taste what all the fuss is about, you’ll keep going back. Attic Antics is Swanzey’s own consignment shop. While the store is not your ordinary consignment shop. What separates it from its competition is its unparalleled selection. Attic Antics sources all of their products locally and are proud to say that their store is filled with must haves for art collectors, antiquers and anyone looking for something with a lot of character. The Swanzey Lake Camping Ground is a picturesque camping ground and beach located on the glimmering and clear, spring fed, Swanzey Lake. The camp ground offers standard tent camping and RV camping as well as tons of activities to do in the summer. From sitting on the beach with your feet in the water and fishing to canoeing along the shoreline to pottery painting and scrap-booking classes, the site is packed with activities for all ages. It’s surely a great place to enjoy the warm weather and relax while you’re in Swanzey. 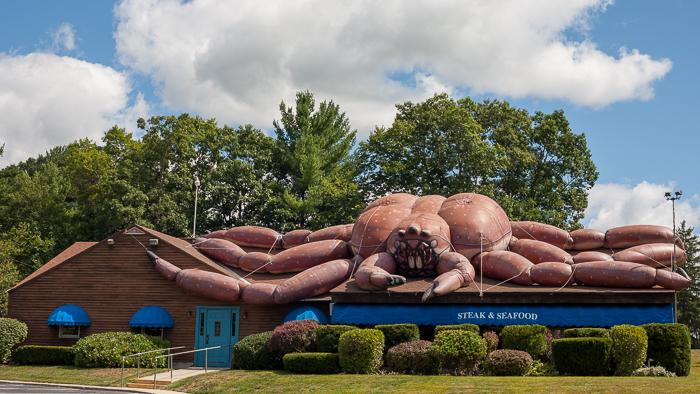 Nick’s Restaurant with its over sized crab on the roof, pictured left, is a site to behold. The crab sits happily on the restaurant’s roof beckoning all those around to go in and try some great food. Nicks specializes in highest quality seafood and steak that is always scrumptious and well prepared. Nick’s is a great place to go if you’re in the mood for a lazy man’s lobster (meat pulled out) or a savers prime rib. 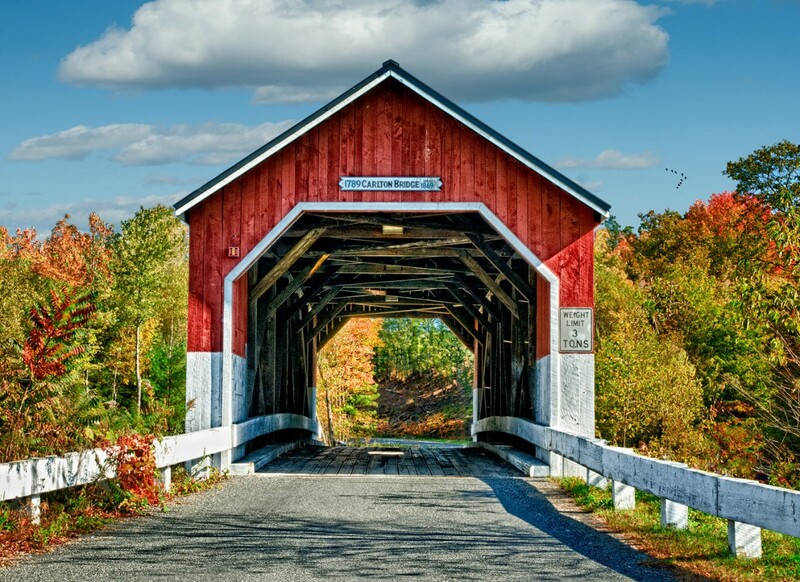 As mentioned above Swanzey is replete with four different covered bridges: Sawyer’s Crossing, Ashuelot Bridge (pictured below), Carleton Bridge, and Slate Bridge. The beauty of covered bridges seems to stem from their ability to blend with nature. 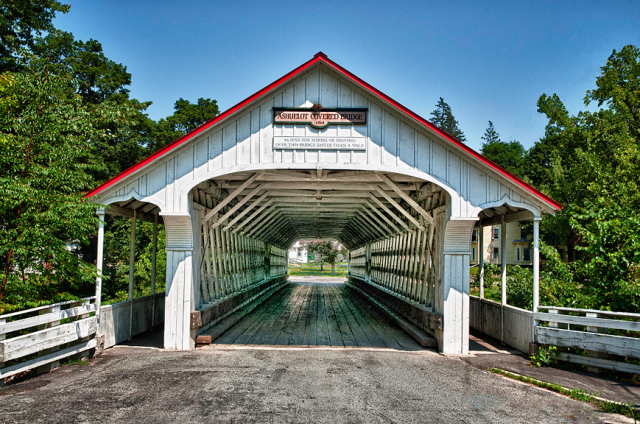 As most of them are hundreds of years old, covered bridges have a warn rustic feel that makes most like the Carleton, Slate and Sawyer’s display a warm aesthetic of nature acclimating to a man made structure. Their design, too, is worth paying close attention to. The interlocking of the large, timber support beams is elegant in its own right. With four different bridges to look at and a list of other places to stop, you’re sure to have a great trip to Swanzey. If you are interested in events that are happening in the area make sure to check the Swanzey page for its town events and our calendar page for other events in the area.